Most people in business subscribe to an out-dated worldview, a perception of reality inadequate for dealing with the volatile and globally interconnected business world. What is required for the health and vitality of our businesses and economies is a radical shift in our perceptions, our thinking and our business behaviour. We are witnessing a change in business paradigm from one suited for the industrial era to one suited for the interconnected era. Just as in science we have discovered that no longer can the universe be viewed as a machine composed of elementary building blocks, so too organisations need not be viewed as atomised, silo’ed and tightly managed machines more they need to be viewed as vibrant, living organisms interacting within emergent, self-regulating and self-organising business ecosystems. Likewise evolution is no longer seen as a competitive struggle for existence, but rather as a ‘cooperative dance in which creativity and the constant emergence of novelty are the driving forces’ (in the words of Fritjof Capra, founding director of the Centre for Ecoliteracy). Ditto for business evolution and so business people need to shift perceptions from seeing isolated, competing aspects of the business environment to seeing the interconnected and emergent nature of the business reality ahead. In fact, the more we understand how life works, the more we recognise how the organising principles of life can be applied to business. It is as if the challenging business environment we find ourselves in (this ‘perfect storm’) gives the perfect environment for us to shift our perceptions to see the business world for what it really is – a part of life. Knowledge of the core principles of how life works becomes a critical skill for business leaders and change agents wishing to successfully transform their organisations in these volatile times. It is what BCI (Biomimicry for Creative Innovation) calls ‘ecological thinking for radical transformation’. 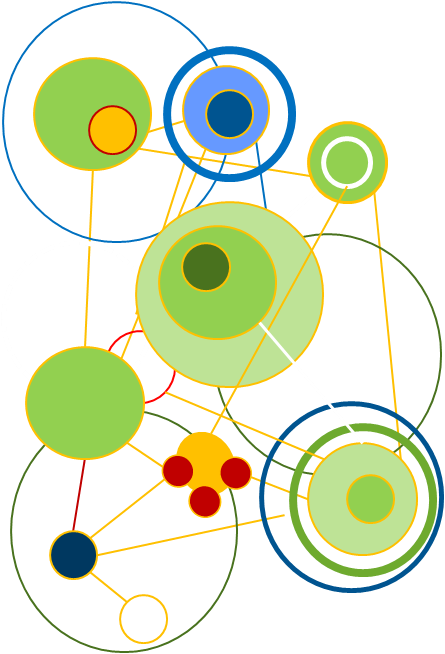 Networks: All living systems are interconnected and share resources across their boundaries. Cycles: As a whole, an ecosystem generates no net waste, as one species’ waste becomes another species’ food with matter and energy transforming and cycling continually through the web of life. 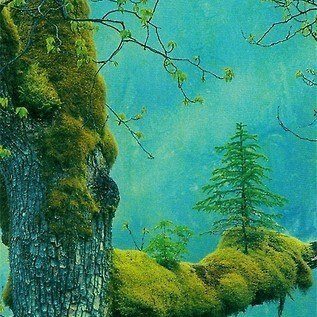 Partnership: Life did not take over the planet by combat but by co-operation, partnership and networking. Diversity: Ecosystems achieve robustness and resilience through the richness and complexity of their ecological webs. Increased diversity equals increased resilience. Understanding the patterns and principles of nature can provide vital insight into how to best future-proof business for the unpredictability ahead. 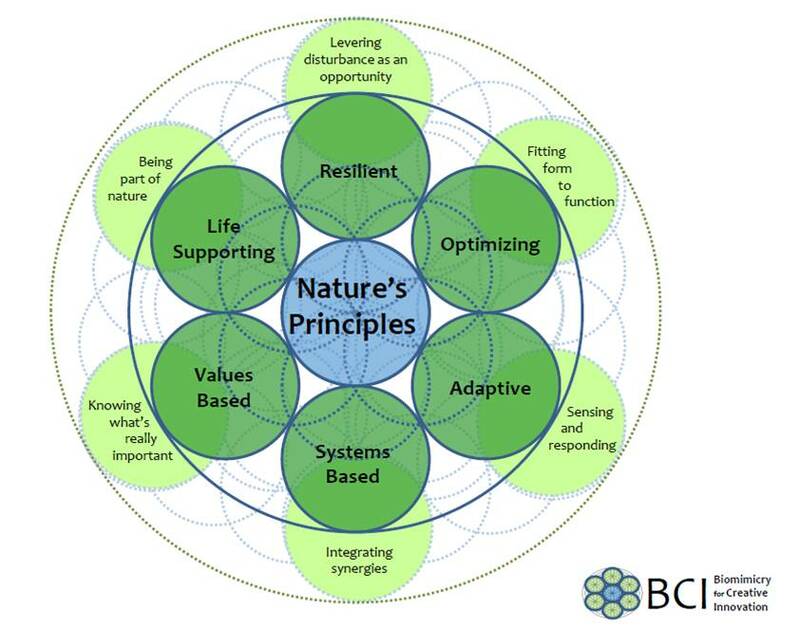 ← What lessons can organisational culture take from nature? HI there, would like permission to re-publish your post , Ecological Thinking for Business Transformation, on ecology.com. I already read Fritjof Capra, and loved this. Now your blog is just the following…wonderful…You just explain things so naturally…) Thanks for these posts ! Just as Michael Braungart en William McDonough explain and formulated in their Cradle to Cradle-filosophy: waste=food. Great article Giles. I feel that we have to give cultural change a chance to keep up with technological. Ethiconomics is my attempt to address this within business so that technology delivers personal and cultural development not simply “more, sooner, cheaper”. Productivity of people is not just acieved by technology; we require meaning, value and fulfilment, this is where innovation and creativity lie. My work and ideas can be found at http://www.ethiconomics.co. I am also working on innovative financing and ownership models that deliver less cost and more return to the stakeholders. It is a basic, fair, share, care ethos. 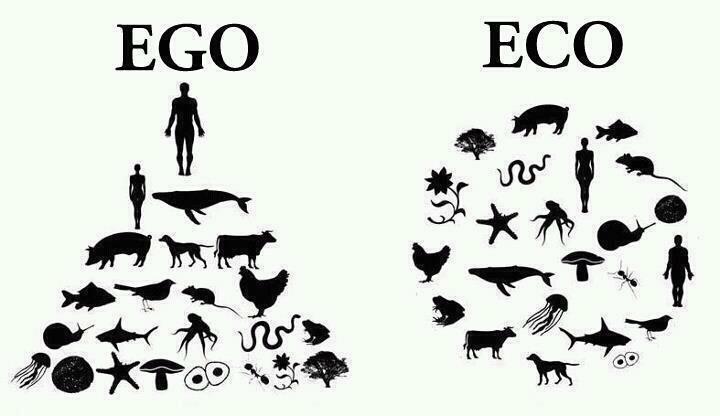 As usual ego is the issue. We have faithfully bought into the thinking processes that currently dominate our world, often without really questioning whether those processes give us what we actually desire. Our collective selfish steam is burning down the house. Will be have a crisis of faith quickly and powerfully enough to question and change our direction?